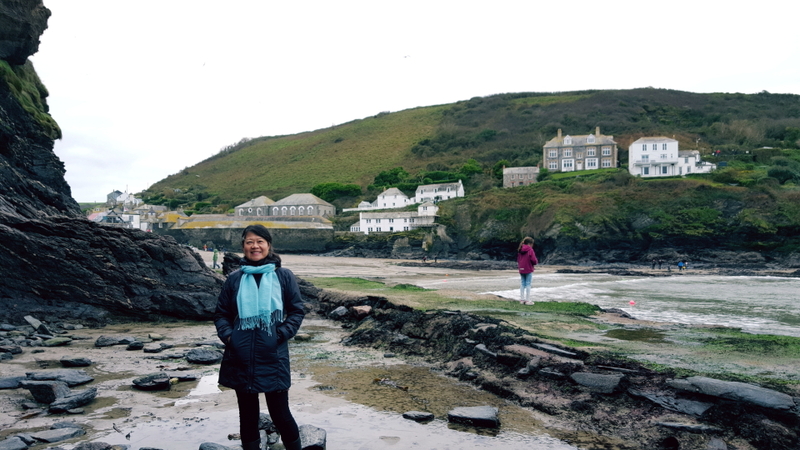 4th time to Cornwall, loooved it as usual, despite the weather. 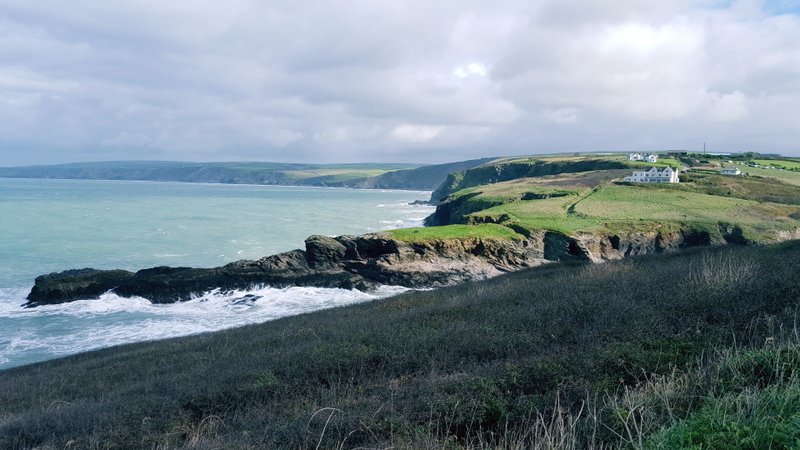 Included in this visit, Padstow, a charming, sophisticated waterfront town, Port Issac, a beautiful seaside town and yes Doc Martin’s Portwenn, and Tintagel, breathtaking sea view made magical with its link to Arthurian legend. First day at Padstow weather was stormy at sea, windy and rainy on land. We drove around and explored anyway. Looking for Bedruthan Steps, we ended up at Beach Head Bunk House, where we got a glimpse of the violently surging waves in the distance. Next we stumbled across Trevone Beach where there is a parking lot with view to the sea and beach. We sat inside the car and watched the waves slashing against the rocks, an awe inspiring scene. I chose to stay at Padstow mainly b/c of Metrolepole, a sister hotel to Fowey Hotel that I liked very much. 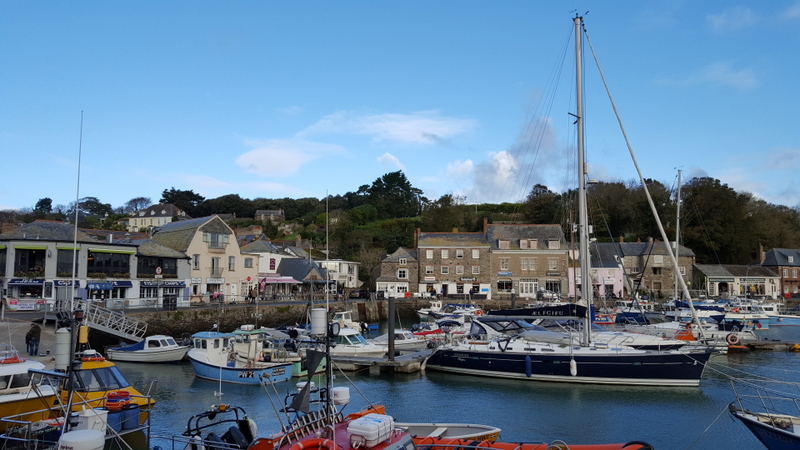 Having not giving much thought to the town itself, it was a nice surprise when Padstow turned out to be so much more than expected, a lively and lovely town with finishing port. Among a number of restaurants you might come across multiple places owned by Rick Stein, a fancy seafood restaurant, a cafe, and a casual seafood place, which was our favorite, superb seafood in casual setting. 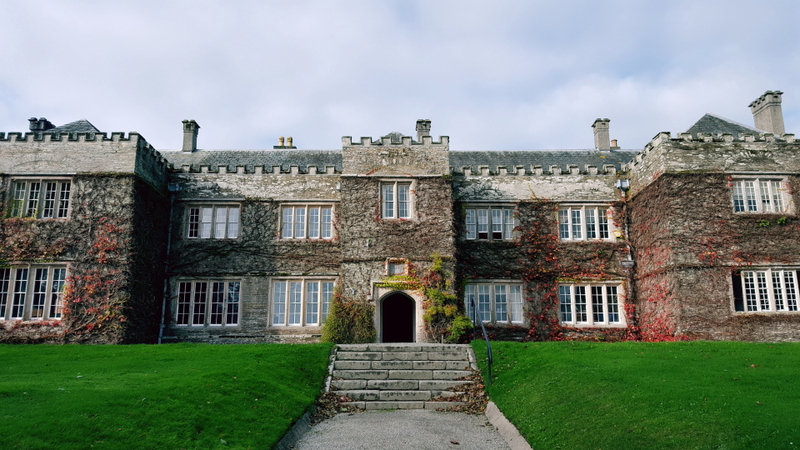 Prideaux Place was a most unexpected and happy discovery, what a stunningly beautiful 500 year old house with its Gothic arches and castellation. It immediately reminded me of Thornfield of Jane Eyre. Alas, the house was closed to visitors for the year. With a lucky twist of event that worked out in our favor, and thanks to Sue, the sprightly and kindly 80 year old house keeper, and Carmen, our guide, we got a tour of the house. Photos were not allowed inside, but I was given a few exceptions. The mediaeval great hall has a ceiling covered in exquisite carving. It was concealed by a faux ceiling for no one knows how long until the current owner Peter Prideaux-Brune discovered it as a boy climbing around inside the house. Making the visit more interesting, we met Elizabeth Prideaux Brune and learnt of the family’s connection to Jane Austen. Great grandmother of the current owner Peter Prideaux Brune was JA’s great niece. 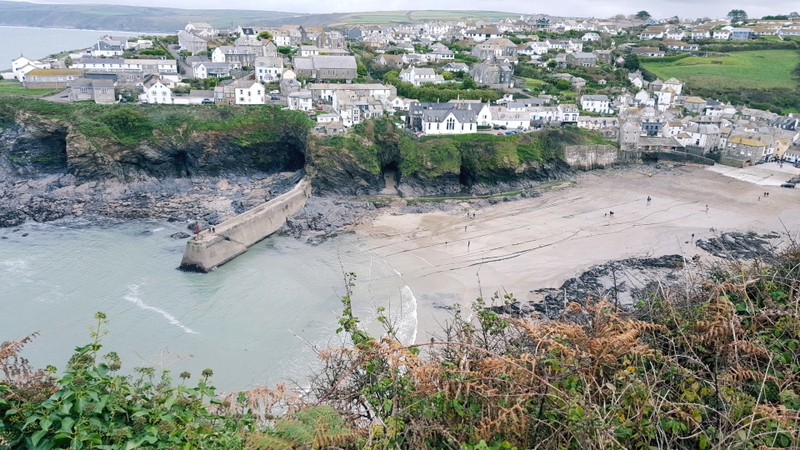 Thanks to Doc Martin, Port Issac is better known to the world now. A lovely coastal town surrounded by stunning views, it certainly deserves the attention. The shop featured as Mrs Tishel’s Pharmacy is in real life a candy shop and sells yummy fudges. Chatting with the young woman at the till, I learnt that the shops is turned into Mrs. Tishel’s pharmacy for several weeks for filming and then resumes its nornal life afterwards. Also according to her, season 9 has been booked, filming will start in 2018 and air in 2019. Season 8 is being shown right now on ITV in UK. The next season will be a little bit of a wait for Doc Martin fans. There are guided tours available. It is also easy to do a self-guided walk around town. Watching the show now is a little more interesting, since I now recognize some of the locations. If you’ve seen Tintagel, you’d understand why it’s been linked to Arthurian legend. Dramatic coast was made even more atmospheric by the foggy weather that day. The view on the coastal path between Glebe Cliff to Barras Nose is unrivaled. Other highlights are St Materiana’s Church on Glebe Cliff, Tintagel Castle on its namesake island, Merlin’s Cave, Barras Nose Headland and Camelot Hotel. In the village, the Old Post Office, a National Trust property, is worth a visit, a time capsule of a post master’s household, cute as a button. King Arthur’s Great Hall was closed. With commanding views and colorful interior, Camelot Hotel is another interesting landmark of the village, where we had cream tea before leaving. Arthurian Legend is probably just that, a legend. Tintagel is nonetheless symbolic of the search for the chivalry and ideals that Arthurian Legend embodies. That to me is part of its magic.